When you travel through Southern Chile, you’ll see beautiful landscapes and amazing vistas. But unless you try the kuchen, your trip to the South doesn’t count. Kuchen is the German word for “cake”. So why a German word in Chile? 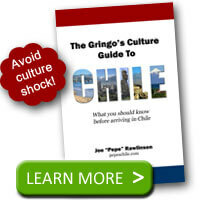 Southern Chile was heavily colonized by German immigrants in the late-1800’s. 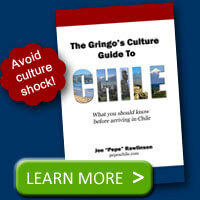 They brought with them their rich culture, traditions, heritage and, of course, their food. Kuchen typically consists of a cake with fruit, topped with a lattice crust, a sugary glaze, or a crumb mixture like streusel. Chile is known for a rich diversity of fruits and berries so kuchens can be made with many of these ingredients. Look for kuchen with blackberries (mora), blueberries, strawberries, raspberries, apples, local fruits like membrillo, and more. I’ve never had two identical kuchens. Each bakery, restaurant, or cafe seems to have their own recipe. This gives you a great variety in the types of kuchen you can experience. Expect not just different fruits but distinct textures, flavors, consistency, thickness, moistness, and more. Kuchen has been adopted into Chilean cuisine and can be found all over the country. However, your best tasting kuchens will be those you get at local bakeries or cafes and not those mass-produced for sale in the supermarkets. 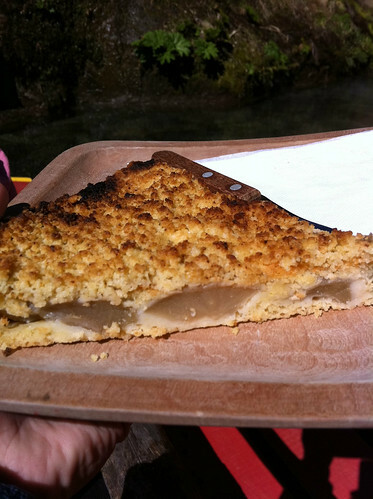 As you travel through Southern Chile, try the kuchen you see on the menu or in the window of a small bakery. You’ll likely get a great variety of recipes and flavors that will make you hungry for more!